It can be very hard being the only student at school, when everyone considers you to be a one trick wonder. If anyone would know, Opal Cowan would. Opal is a glassmaker. 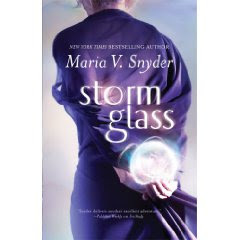 As if only having one power wasn't bad enough, Opal also has to contend with the fact that she poisoned Yelena. Though Yelena has forgiven her and Opal can now call Yelena her friend. These five lucky readers/followers have all won a copy of this book. I have sent an email to the winners. The year is 1008. A group of Northmen led by Halfdan Ingolfsson and accompanied by his second in command, Gudbjartur Einarsoon. 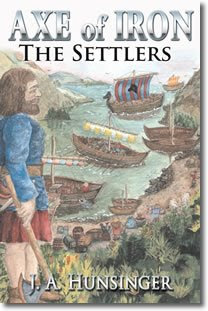 Together they and their group leave their homes in Greenland and set out for the undiscovered, unpopulated land of Vinland. A place that will later be known as North America. Along the way, Halfdan and the rest of the Northmen come in contact with a group of people who call themselves Thalmiut of The People of the Deer. Though communication between the two civilizations is difficult at first, they eventually figure our a way to get along with each other. They teach each other how they live and survive. Will the Northmen be able to apply this new found knowledge and survive in this new land or will they give up and head back to Greenland? 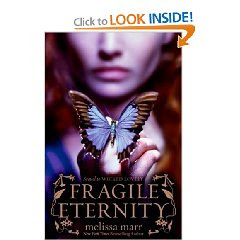 Aislinn has become immortal, which means she is now a faery and the new Summer Queen. This would not have been possible if she and Keenan, the Summer Kind had not defeated Beira, the Winter Queen. Keenan is glad to have Aislinn as his queen. He has been waiting many centuries for his soul mate. The problem is that Aislinn does not feel the same way about Keenan. This is because her heart belongs to another. His name is Seth and he is a mortal. It tears Seth up inside to know that he can't be with Aislinn forever and that some day he will die and she will live on. I want to thank Dorothy with Pump up your Book for letting me be a part of this blog tour. Piper Mills really didn't know her grandmother or hand real desire to know her. Years ago, Piper's own dreams of becoming an Olympic equestrian champion rider were crushed...literally. Due to a mis-calculation on Piper's part, her horse didn't quite clear the jump. Piper was thrown from her horse, only to have the horse land on her. Piper was lucky to have survived though she may not think so, since she had ridden a horse again. Who can blame her. 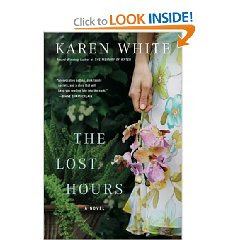 I want to thank Miriam with Hachette for sending me a copy of this book to review. The First Family brings back Secret Service agents turned private investigators Sean King and Michelle Maxwell. It was just like any other day. Everyone had gathered to celebrate the birthday party of the president's niece at Camp David. Suddenly the party turns sour really fast when Willa is kidnapped. This is where Sean and Michelle come into the picture. Sean helped save the president years ago when he was a senator. The First Lady never forgot Sean. Even though the FBI and everyone else is looking for Willa, the First Lady trusts only one person and that is Sean. She calls him and begs him to take the case. Sean agrees with his his partner, Michelle. I want to thank Iris Moss for sending me a copy of her book to review. Marine biologist, Dr. Autumn Knight felt like her life was finally coming together after her broken engagement and the death of her fiancé, shark expert Cory Perkins six months ago in the waters of Hawaii. Autumn was locking up for the night where she worked at Lakeside Aquarium, when she hears a splash. She sees a man face down floating in the tank. 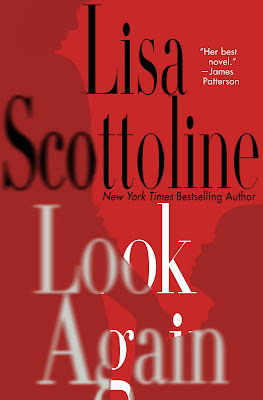 Autumn pulls the man out, only to have her nightmare begin all over again. The man is non other than Cory but that can't be right as Cory is suppose to be dead. Cory dies in Autumn's arms. Autumn suspects something is up and decides to do some investigate work. Autumn learns that Cory was living a very dangerous and secretative life. Intelligence officer Ryan Evans has never been much of a husband to Celine or a father to his daughter, Bethany. In fact to avoid having to deal with Celine, Ryan volunteers for dangerous missions in far away counties. His latest mission has him gathering data in the Middle East. Ryan had called it a day and was travelling back to camp when the Humvee that he was riding in was attacked. Ryan gets knocked out. 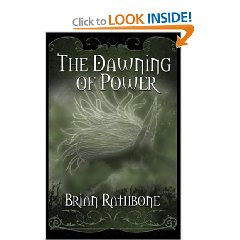 When Ryan awakes, he is in a room with a man by the name of Kahlid, who interrogates him. Kahlid teaches Ryan the value of life. He also shows Evans that you can break someone's bones without damaging the skin. Just when Ryan taught the end was near, he is able to escape and be rescued. Ryan is ready to put this whole ordeal behind him but the nightmare is just beginning. 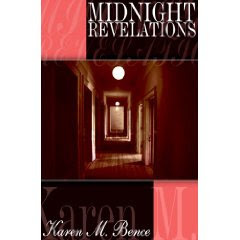 I want to thank Karen M. Bence for sending me a copy of her book to review. Sara, her husband, David and her son, Jack have just moved to Virginia. They have found the perfect house with lots and lots of acre for their horses. While out and about something catches Sara's eye. It is a large antique mirror. Sara walks into the antique shop and inquires about the mirror. The shop owner tells her that the mirror actually came from the house that she and her family just purchased. Sara buys the mirror and brings it home. That is when all of the strange things start to happen. First Sara sees a woman in the mirror, then Sara locates a locked diary. When her son has an accident, Sara seeks the help of the church hopefully that will be enough. 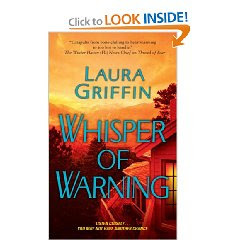 There is something evil lurking in Sara's home and it wants her to know the truth but at what price? I want to thank John with St. Martin's for sending me a copy of this book to review. Ellen Gleeson has just gotten home and retrieved the mail. She was getting read to put the mail down when something in the pile caught her attention. It was one of those white postcards that says “Have you seen this child?” The similarities between the missing boy and her son, Will is uncanny. It was like Ellen was looking at a picture of Will but Ellen knew that couldn’t be true as her son is an only child. Well that is what the adoption agency told her. A few days later and Ellen still can’t get the imagine of that little boy out of her mind. Ellen decides to so some investigative research of her own into whom the boy really is and why he looks so much like her son. All of Ellen’s snooping is making some people very nervous and when that happens people will go to any lengthens to hide the truth. Emily Hudson and her friend and partner, Joel Levy work for the United Nations as artifact experts. They and their team travel all over to different war torn countries to unearth and save artifacts from destruction. 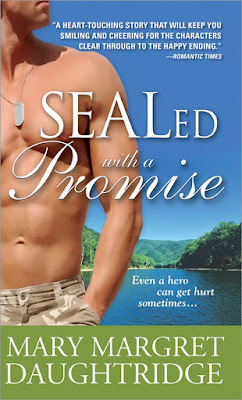 Emily and Joel are in Afghanistan when they are ambushed and held hostage. Their captor goes by the name of Borg. He believes that Emily has located Zelov’s hammer, a very priceless artifact. Borg is not a patient man. One way or another he will get what he wants. You could call John Garrett a jack of all trades. He has worked for everyone from the CIA, MI6, and to just about anyone else who is willing to pay him. The CIA calls on John for a rescue mission to save Emily and Joel but it won’t be easy. Luckily for John he is up for the challenge. Attorney Jillian Samuels enjoys her job but she is ready to get away for some much needed peace and quiet. 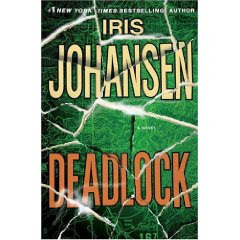 Jillian doesn't realize just how quickly she will get that R & R. Jillian's mentor passes away and leaves Jillian with the keys to his cottage. It is located in small town Salvation, Colorado. So Jillian packs up her things and hits the road for Colorado. Tuck Manning is getting over the death of his wife. What someone neglected to inform him is that his life would be suddenly in a up heave with a unwanted guest. So you can imagine his surprise when in walks a beautiful woman...claiming that she is the new owner of the cottage and for him to get out. Jillian agrees to allow Tuck to stay for a few days on the condition that he can produce the papers showing he is the supposedly rightful owner of the cottage. Besides Tuck is pretty handy with his hands as well as easy on the eyes. I want to thank Joan with St. Martin's for sending me a copy of this book to review. 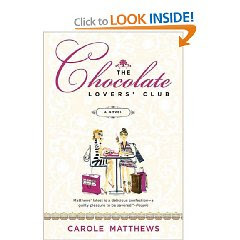 Four friends have joined together to form an exclusive group called the Chocolate Lover's Club. The only rule pretty much is that you have to be willing to drop everything if someone is in need of a supporting shoulder and of course...chocolate! Now that you now the rule, let me introduce you to the ladies. First there is Lucy Lombard. She is the founding member of the club and a fan of anything chocolate. Next comes Autumn, who's darkest desires can only be clamed by rich, dark chocolate. Then you have Naida. She is the only one out of the group who is a mother. She has a three year old son named Lewis. She like Lucy does not have a preference in what type of chocolate she likes but unlike Lucy she eats it without really savoring the experience. Lastly there is Chantal Hamilton. She and her wealthy husband, Ted moved to London from sunny California. No one could have ever imagined that recluse Moira Hegarty could commit such a heinous crime. What the authorities found in Ms. Hegarty’s house is beyond words. 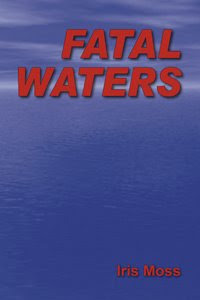 The police discover three bodies including Moira’s. Moira died from several blows to the head that caused part of her skull to cave in. Another body of a young woman is found in an upstairs bedroom. She is holding a shovel in her hands. She was stabbed about nineteen times. As the police are clearing out the bodies; they locate the third body. This girl died slowly of malnutrition and internal poisoning. The identities of the two girls are twenty-four year old Fiona and her sister twenty-two year old Roisin Walsh. The disturbing part is that Moira are the girl’s aunt. You may all remember a few weeks ago I featured my review on this book. It is a worth while read. Well I am happy to have Mr. Rathbone back as a guest. I'd like to thank Cheryl for having me here today and I offer warm greetings to all of her readers. Though I am a writer of fantasy fiction, I have a scientific mind. When I created The World of Godsland fantasy series, I sought out magic in the real world. The things I found surprised me and inspired me. All around us are seemingly magical forces that often defy explanation and are seldom within our control. There is gravity and electromagnetism, the rotation of the planet and its effect on the weather, volcanism and so much more. It can be very exciting to find so many strange and wondrous phenomenon. There are years without summers, little ice ages, underground aquifers, ice caves, and even crystal caves. Lady Lydia Bestwick has sent a very disturbing letter to Lady Anne Addison. Lady Bestwick requires Lady Addison's help. Anne immediately heads for Yorkshire, particularly Darkefell Manor. When Anne arrives she gets the most unexpected welcome. She stumbles across a dead mangled body. Anne now understands why Lady Bestwick is so concerned. Anne knows that there has got to be an explanation for the wild beast attacked that Lydia is worried about. Someone who is not happy about Anne's snooping is the Marquess of Darkefell. The Marquess has a reason for being annoyed as he has a deep, dark secret that if uncovered could cause havoc. 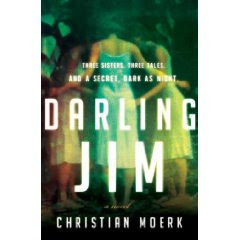 I’ve been accused of writing Gothic historical romances; it’s something I come upon again and again in descriptions of my novels, including Lady Anne and the Howl in the Dark (Sourcebooks, Casablanca – April 2009). 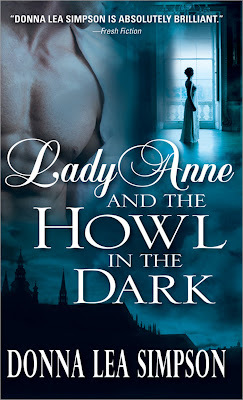 Well, let’s take a look at Lady Anne and the Howl in the Dark. Brooding hero? Check. Heroine unsure whether she can trust him? Check. Moody atmosphere and suspense? Check and check! Well, gee, I guess I do write Gothic romances! Maybe it just comes naturally to me! Navy SEAL Caleb "Do-Lord" Delaude grew up dirt poor. It was only him and his mother. His father left them. His fahter could have done something about their situation as he was wealthy but instead he never acknowledged them. Caleb decided to make something of his life and joined the Navy. He trained hard and became one of the best SEALs the Navy ever had. He vowed though to get his revenge aganist his father. No matter how long it took. It is at Jax's wedding, where Caleb is best man that he meets Emmie Caddington. She is a bit of a wallflower. She dresses in bland clothing that does nothing for her figure. She is happier to let someone else be in the spot light then her. Caleb learns that Emmie shares a connection with his father. He decides to get close to her and in turn bring himself one step closer to his father. Ladies get ready to meet the men of your dreams. 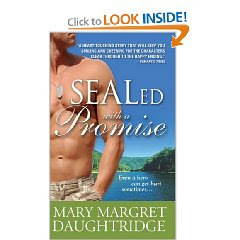 I am honored to share with you my interview with Mary Margret Daughtridge. Thank you, Cheryl. I like answering questions better than trying to guess what will interest you or your readers. Can you please share a little about yourself? I’m an NLP Master Practitioner. NLP is the stuff the guy on “I Can Make You Thin” uses. And yes, it really is that effective for change work—though I don’t like to do weight issues. I think other kinds of change are much more likely to pay off in increased happiness. 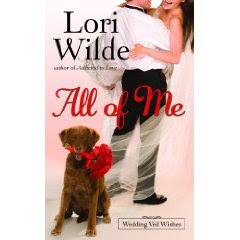 Although I’ve written all my life, I never considered myself a “writer” until I decided to write a romance novel. It was like I finally found out who I had been all my life. Dottie Meyers and Dorothy Gale from the Wizard of Oz have many things in common. They both own a little black dog and they both live on a farm in Kansas. Just like Dorothy; Dottie gets knocked unconscious by some debris during a tornado. Unfortunately Dottie does not end up in the wonderful world of Oz. 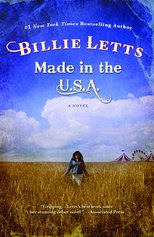 Dottie instead wakes up in a nursing home in California. Dottie receives a mysterious package. Inside the package is a pair of ruby red slippers. The slippers were left by Dottie’s father. Someone who she has not seen since she was a little girl. Dottie decides to go on a road trip to find her father. She is accompanied by some really wild and crazy companions. 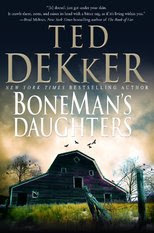 I want to thank Deborah with Belle Books for sending me a copy of this book to review. Virginia Kate Carey is heading back home to West Virginia to care for her estranged mother. If it wasn’t for the diary her mother sent her Virginia won’t be going back. 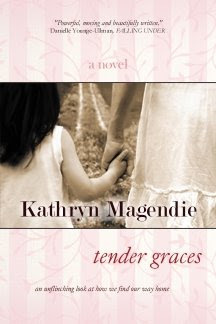 When Virginia opens and starts reading the diary she travels back in time to when her mother and father first met. Her mother was a wild child back then and her father was very well educated and loved to quote Shakespeare. In fact this was exactly how Virginia’s father won over her mother. You could call these times…happier times. A time when Virginia’s mother loved and cared for her family. Sadly through love wasn’t enough and Virginia’s family split. Her father moved to Louisiana to be with his new wife. Eventually Virginia and her brothers ended up with their father, leaving their mother alone. I want to thank Ms. Griffin for sending me a copy of this book to review. Courtney Glass is in big trouble. She is being convicted of killing her lover John David Alvin. Courtney says she is innocent but the facts are stacked pretty high against Courtney. The gun that killed Mr. Alvin is registered to Courtney. You can’t get any clearer evidence than that. Office Will Hodges wants to believe Courtney but he also knows that he has to be sharp on his feet. Just because he feels something for Ms. Glass does not mean she is innocent. In fact she could be a cold hard killer. Office Hodges will need to get to the bottom of the truth and fast before someone else breaths their last breath. Eleanor is the niece of King Edward the second. Eleanor gets married to the young and dashing High le Despenser. Hugh and Eleanor are very happy together. Eleanor has even more to be happy about when Queen Isabella appoints her as one of her ladies in waiting. As Eleanor spends more time in the presence of Kind Edward, she realizes that he is not the king she pictured him to be. Eleanor and King Edward start to become very close. You could say almost to the point that if you saw them you would think they were lovers. A big reason for this is because Hugh is always gone on missions. Something terrible happens and Hugh is accused of conspiracy and is exiled. Hugh is later tried and convicted to be a traitor. He is executed. 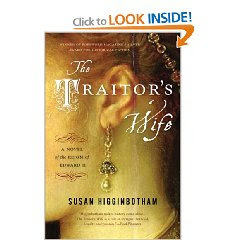 Eleanor takes on the burden of raising her and Hugh’s children, all the while learning to adapt as being known as the traitor’s wife. I am happy to have Kathryn Nelson stopping by. I got a chance to interview her. I hope you enjoy it. I assure you, the pleasure is mine. The writing of Pemberley Manor was the funniest thing I’ve ever done, and I love to revisit it. What is something that readers don’t know about you that they would be surprised to learn? Pretty much everything, I’d guess – there’s really nothing in my background that would lead anyone to think I would write a sequel to Pride and Prejudice. I’ve spent the best years of my life working with my family in an electrical contracting business.